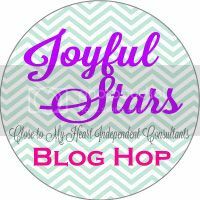 Welcome to our June Blog Hop. 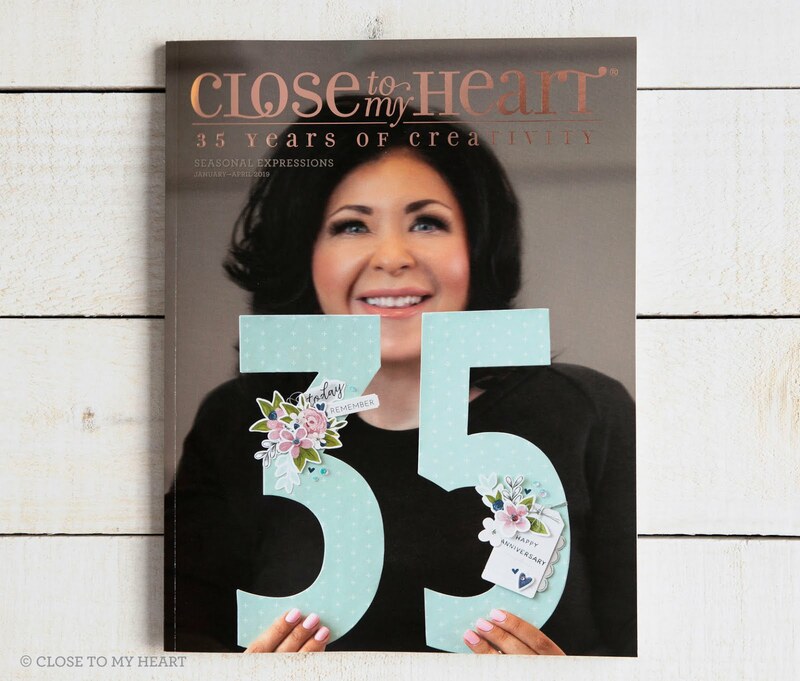 If you are coming from Crystal's Blog, then you are on the right track. June is time for Grads and Dads so I have a card for each today. First, is a Graduation Card. You can find instructions for this card on Brenda Quintana's blog HERE. It is a folded card and it will hold a gift card or money. 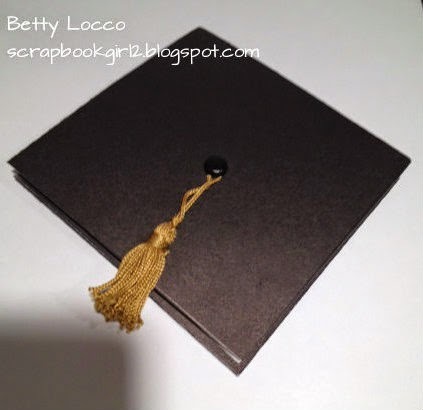 The tassel was purchased at JoAnn Fabrics. There are quite a few online tutorials if you would like to make your own tassel to match school colors. The inside is stamped using discontinued Close To My Heart stamps. 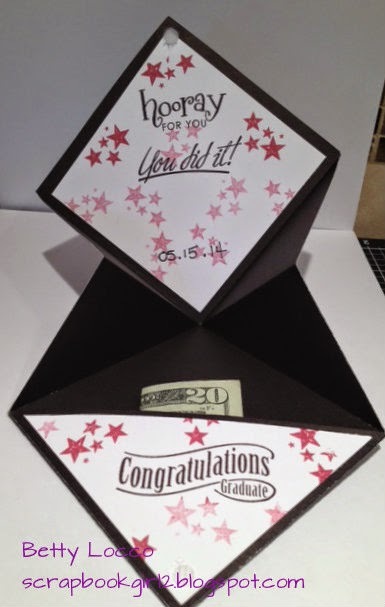 I used the pocket to enclose money for the graduate. The Hook and Loop Dots (Z1805) keep the card closed. Next up is the Father's Day Shirt Card. This card is folded, but since it is cut using the Artiste Cartridge it is very easy to make. 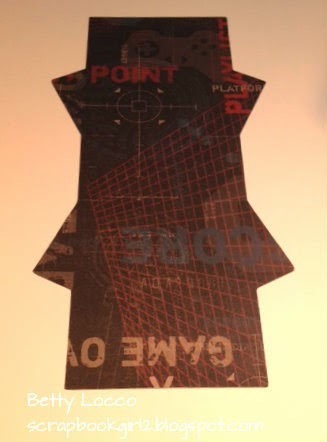 Many years ago, we made a shirt card following Origami Folding instructions, but it was much more difficult. The Artiste Cartridge makes it so quick and easy! Here is the front of the card. It is on page 75 of the booklet and the card was cut at 5" using ProPlayer B & T paper. 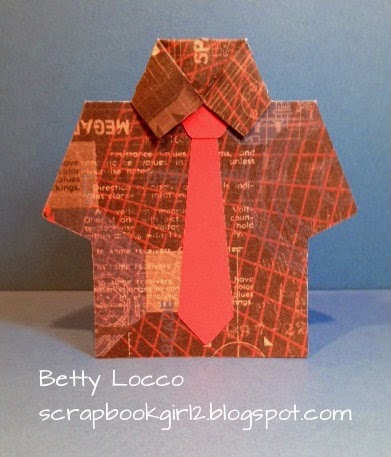 The tie was cut using Ruby Cardstock. Here is what it looks like before folding. The inside of the card is decorated using D1527 Perfect Fit - Frames. The frame was cut using the Art Philosophy Cartridge and then stamped using Pacifica Ink. The sentiment is from D1560 Holiday Tags. 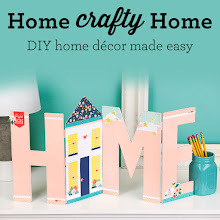 Now it is time to hop on over to Meg's Blog to see her creation. Thank you for joining us this month and be sure to stop back next month for more inspiration. Enjoy! Great projects for the month of June! Wonderful inspiration! I remember folding those shirts and totally agree, Artiste quick and easy! 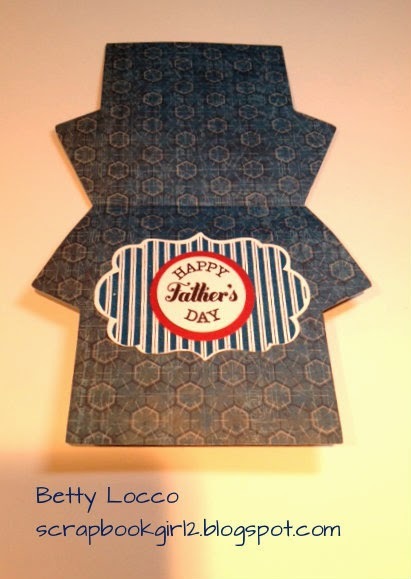 Betty, they are great idea for father's day card and graduation card! Great cards Betty. May have to stamplift the graduation card idea. Oooh! love shape cards! These are great examples, tfs! Awesome projects! Thanks for sharing! I can always count on you for a great inspiration card. Love the grad hat.